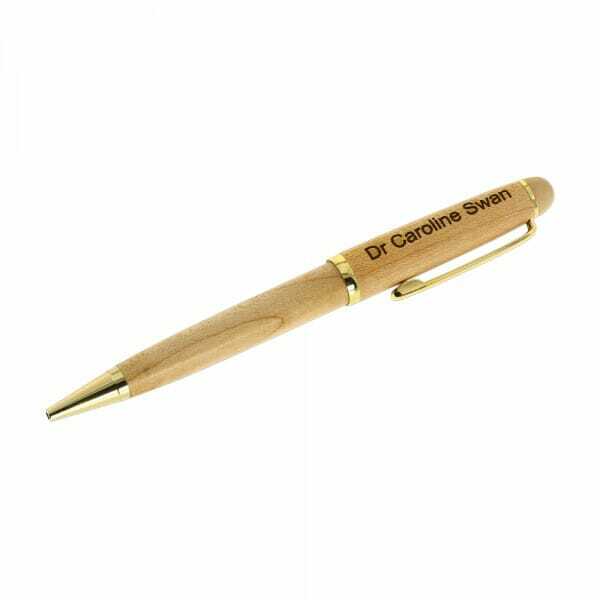 Whether it's marking work in the classroom or signing a big deal in the office, do it in style with this beautifully crafted wooden pen that can be personalised with a logo or quote of your choice. This ballpoint pen is made from smooth and strong maple wood and will be engraved with elegantly scripted text chosen by you. You'll always find that when looking to write something down you can't find the pen, with our gold colour clip, you can keep the pen close to hand all day, so jotting down that number or reminder will be accomplished in style. Customer evaluation for "Wooden Pen"